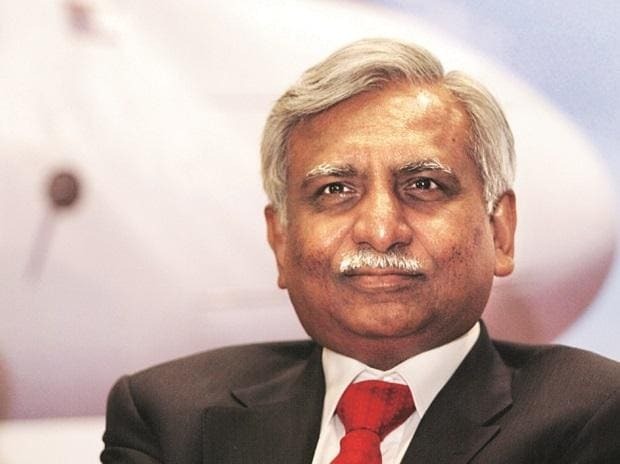 Jet Airways Ltd Chairman Naresh Goyal and his wife Anita Goyal are expected to leave the board of the cash-strapped airline on Monday, ET Now television channel reported. Chief Executive Vinay Dube is expected to stay on board the 25-year-old airline Goyal set up with his wife in 1993, according to the report. Earlier this month, Reuters reported that Goyal had agreed to step down as chairman and reduce his 51 per cent stake in the airline. The report also said that Jet's lenders may invoke Goyal's entire stake in the airline, and start looking for a new buyer in the coming weeks. Jet has survived a near-death experience once before; in 2013, Abu Dhabi's Etihad Airways injected $600 million of capital for a 24 per cent stake in the airline, three London Heathrow slots and a majority share in Jet's frequent flyer programme. The infusion helped Jet pare down debt and fight growing domestic competition.